Ovolo; where intricate frame detailing meets a classic Shaker, offering an elegant twist on this timeless style. 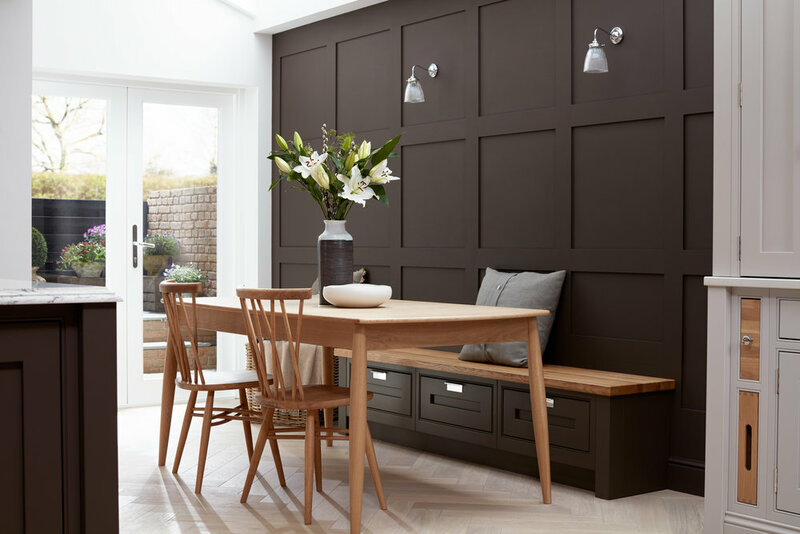 The overall aesthetic of this kitchen combines wall panelling, moulded cornice and a herringbone timber floor with a colour scheme of soft and deep greys, inspired by a 19th Century colour palette. As the social hub of the house, it’s practical working areas coincide perfectly with a bright and airy dining space. Central to the design is a large island offering a multitude of uses, from storage, food preparation, or simply supper for two.